For browser view, please click here. 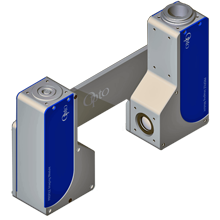 Increase your efficiency and digitize your optical quality control with our new imaging modules. For the first time, we are showing the new PANO imaging module. This smart, compact imaging module generates continuous high-resolution, digital image data, and fuses it into a large high resolution image with a unique image stitching algorithm - ideal for large fields of view where high resolution image data is critical. 2017 sees the launch of a brand new higher-resolution Cleanalyzer, enabling even faster recognition and analysis of μm particles within cleanliness inspection applications. This unique system remains at the forefront of professional and standardized particle analysis according to ISO16232. 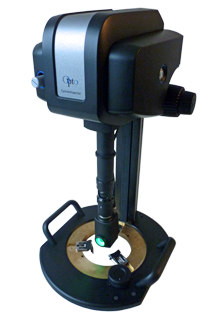 The new CylinderInspector HD Imaging Optics with its multi-function illumination upgrade enables perfect, complex surface imaging and analysis of highly structured, sputtered and plasma surfaces in automobile cylinders. A brand new high-precision measuring module for automatic quality control of high-precision micro components has recently been launched by robSwiss, a subsidiary of OptoGroup. In combination with the PROFILE 1.0x Imaging Module, telecentric profile measurements with μm accuracy are now also possible. 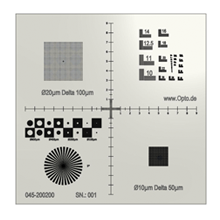 A large number of useful micrometry features are integrated into Opto's new micro-calibration plate, including a unique 1000 LP / mm resolution matrix. Our new Dualoptic enables a simultaneous overview and a detailed view of your object, from a highly compact, high resolution optic. 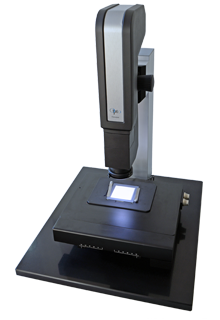 With a maximum resolution of 1µm / pixel at a working distance of 31mm, the Dualoptic is the perfect solution for inspecting flat and shiny surface objects with complex microstructures. It substitutes every zoom objective with similar magnifications with the benefit of instantaneous images and no moving parts.